This season (2017-18) will include Josh Bauder Tyndale: A Reformation Oratorio with Deo Cantamus, Minneapolis; Handel Messiah with the Chicago Master Chorale; Bach Magnificat with Camerata Chicago; Vaughan Williams Fantasia on Christmas Carols with Bethel University; and Mozart Regina coeli and Handel Messiah (part 1) with the Atlanta Symphony and Chamber Chorus. 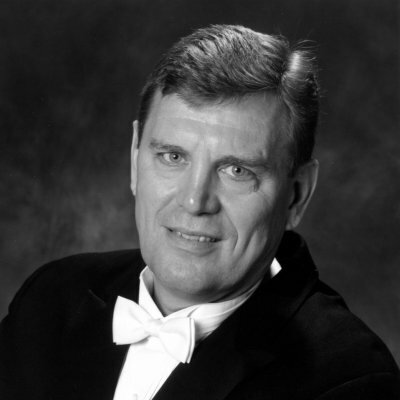 Dr. Sundberg is a graduate of Bethel College (St. Paul, MN), and holds both Master of Fine Arts and Doctor of Musical Arts degrees from the University of Minnesota where he studied voice with Clifton Ware and Roy Schuessler. He is presently Professor Emeritus of Voice at Wheaton Conservatory of Music (Wheaton, IL), where he taught studio voice and vocal pedagogy. He recently relocated to the Twin City area, and is an adjunct voice professor at Bethel University.